Here are some of the awards and recognition that Nicholas and the Gotta Have Sole Foundation have received since we began our work. 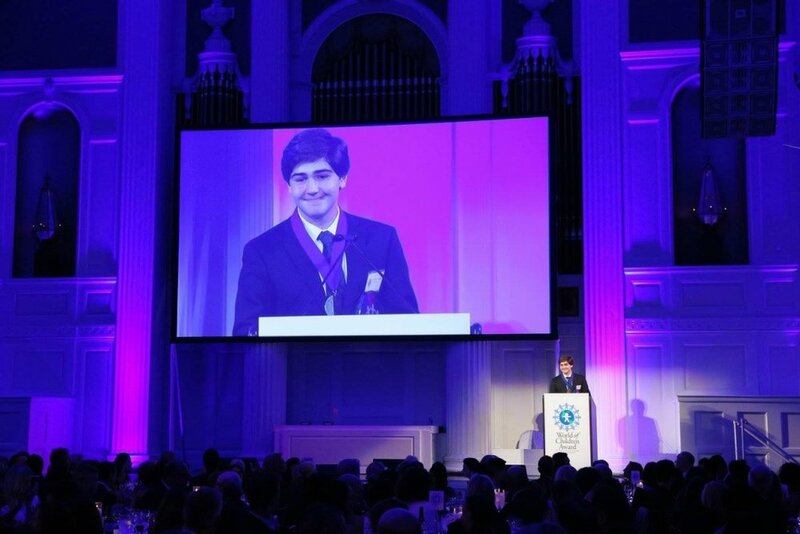 Gotta Have Sole Founder Nicholas Lowinger named a Three Dot Dash Global Teen Leader. The World of Children Award improves the lives of vulnerable children by funding and elevating the most effective changemakers for children worldwide. The Nickelodeon HALO Award profiles extraordinary teens of the year who are "Helping And Leading Others." Nicholas was one of five teens honored in 2014. World of Children Award Known as the Pulitzer and Nobel Prize for Child Advocacy, the award improves the lives of vulnerable children by funding and elevating the most effective changemakers for children worldwide. PBTeen Extraordinary Teens PBTeen features teens on their blog, website and in their catalog for their philanthropic work. Nickelodeon HALO Award This acronym stands for Helping and Leading Others. 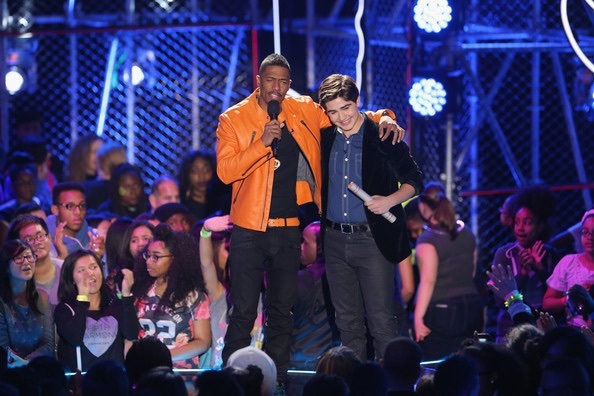 Developed by Nick Cannon, it honors teens serving their communities with college scholarships and funding for their charities. Caring Award Inspired by Mother Teresa, the Caring Institute honors individuals promoting the values of caring, integrity, and public service. Charlotte Bacon Act of Kindness Award The organization celebrates Charlotte Bacon’s life and recognizes Acts of Kindness by children around the globe. Peace First Prize and Fellowship The Peace First Prize celebrates powerful contributions of youth peacemakers, for their compassion, courage and ability to create collaborative change. Muhammad Ali Humanitarian Award Honors people from around the world making significant contributions toward securing peace, social justice, human rights, and/or social capital. CNN Hero Young Wonder CNN honors individuals making extraordinary contributions to humanitarian aid and making a difference in their communities. Diller Teen Tikkun Olam Award The Helen Diller Family Foundation awards grant funding to Jewish U.S. teens for exceptional leadership and engagement in service projects to make the world a better place. Myra Kraft Community MVP Award The Kraft family and New England Patriots Charitable Foundation highlight those who give their time to help others and exemplify leadership, dedication and a commitment to improving their communities through volunteerism. National Make a Difference Day Honoree USA TODAY and Newman’s Own honor the efforts of individuals who lead Make a Difference Day projects, awarding them with grants to expand their Make a Difference Day projects, or to donate to a charity of their choice. Kohl’s Cares Award - National and Regional Kohl’s honors youth volunteers with a college scholarship and funding for their charity. Gloria Barron Prize for Young Heroes The Gloria Barron Prize for Young Heroes celebrates inspiring, public-spirited young people from diverse backgrounds all across North America who have made a significant positive impact on people, their communities, and the environment. Global Teen Leader, Three Dot Dash Program Three Dot Dash is a global initiative of the We Are Family Foundation that supports the efforts of Global Teen Leaders around the world who are actively working on projects that promote a more peaceful society. President’s Volunteer Service Award - Gold Level This award encourages citizens to live a life of service through Presidential gratitude and national recognition. Build-A-Bear Huggable Hero Build-A-Bear Workshop salutes young people making the world a better place through their generosity and kindness. Honorees receive a college scholarship and funding to support their charity. Prudential Spirit of Community - State Honoree The Prudential Spirit of Community Awards is based exclusively on volunteer community service. The program's goals are to applaud young people making a positive difference in their neighborhoods, and to inspire others to think about how they might contribute to their communities. Jefferson Award for Public Service Founded in 1972 by Jacqueline Kennedy Onassis, Senator Robert Taft Jr., and Sam Beard, the Jefferson Awards are the country's longest standing and most prestigious celebration of public service. Hasbro Community Action Hero Award The Hasbro Community Action Hero Award recognizes young volunteers who show that you are never too young to make a difference in your local or global community. Hasbro Children's Fund and generationOn celebrate young people for their extraordinary community service and volunteer activities.